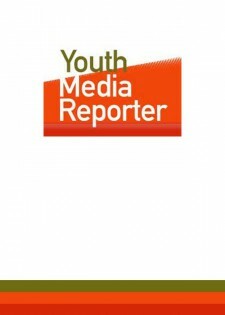 Youth Media Reporter (YMR) is the professional multi-media journal that serves practitioners, educators and academics in the youth media field. YMR’s purpose is to build the field by documenting, from multiple perspectives, the insights and leading lessons in engaging young people in video, film, television, radio, music, web, art, and print. YMR offers insight to the degree that young people and their adult allies use media to make a difference, address a point, enhance creative imagination, and match leadership with voice. YMR engages a variety of stakeholders to define issues, pedagogies, and challenges to the youth media field. The annual print journal combines all web released issues with “special features” articles. These articles dig deep and broad within the youth media field. In 2008, 700 copies of YMR’s first annual print journal were sent at no cost—in order to introduce the publication—to approximately 60% academics and 40% youth media practitioners. We believe that YMR’s presence in academic environments will create career pipelines into the youth media field for college students interested in journalism, film, media studies, and related departments. Youth media professionals, leaders, and practitioners are YMR’s audience, which is expanding into new and intersecting fields nationally and around the globe. The publication offers media professionals a forum to share information, reflect on work done in the field, develop practice, ascertain new approaches and pedagogy, and celebrate youth led social change. Recognizing that many youth media practitioners come from a variety of fields, YMR includes all perspectives, viewpoints, and topics. If you are interested in the lives and views of young people, this publication is a window into a dynamic field that reflects and reinforces the values of the media, arts, advocacy, activism, social justice, education, and youth development communities.